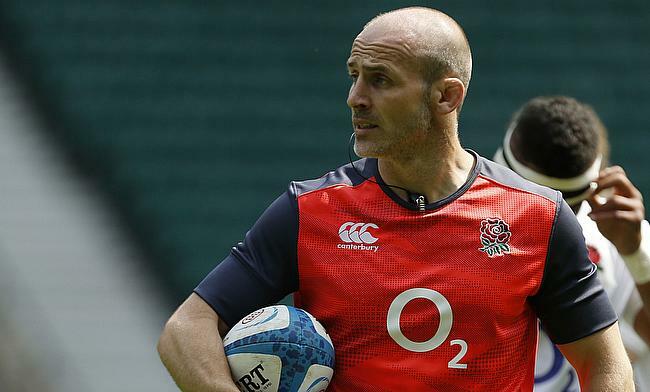 Harlequins have confirmed England defence coach Paul Gustard as their new head of rugby. The 42-year-old started his coaching career in 2008/09 under Eddie Jones when he took the role of assistant coach of Saracens. In 2016 he left his role as forwards and defence coach of the Allianz Park outfit to join Jones' backroom staff for England. During his tenure, Gustard helped England win back to back Six Nations title and also away series victories against Australia and Argentina. He was contracted with the Rugby Football Union until 2019 but it is reported that Quins agreed on compensation with RFU. Gustard will join Harlequins at the end of England's upcoming tour of South Africa in June and his departure will leave the red rose team without a permanent attack and defence coach with the World Cup around the corner. "I just couldn't turn this opportunity down," Gustard told the club's official website. "I am a proud Englishman and it has been a privilege to represent my country and work under Eddie. He has supported me in accepting this new role and I will continue to have a strong relationship with him. "However, I am now ready to lead a team and I am thrilled to have this chance at one of the Premiership's biggest clubs." Harlequins chief executive David Ellis is delighted to announce the appointment of Gustard and said a general manager will be named in due course of time. "We were determined to recruit a coach with a proven track record in delivering a winning team and environment, and we have done that," said Ellis. "The two leadership roles in the club's new rugby operations structure is an important step towards our long-term ambition of taking Harlequins back to the very top of English and European rugby." Harlequins had a disappointing 2017/18 season of Aviva Premiership where they finished 10th with seven wins from 22 games.